Hello there! I’ve been itching to get back and post here for so long, but time is slipping away from me. A new job compounded by the short winter days means that I don’t have many opportunities to photograph the food I make (food photos look pretty terrible under artificial light – any blogger will understand this issue too well! ), so I’m excited that I finally get to share this recipe with you. Now that I’m back in an office job, I’m trying to sort out my lunch game. There are a lot of great options near my office, but at $10 a pop, I’m aiming to bring in some packed lunches once in a while to balance things out. 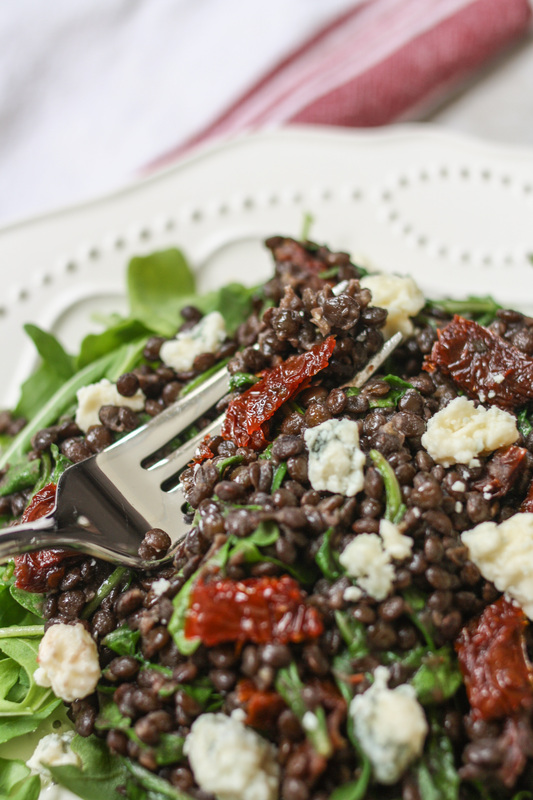 This Italian lentil salad with gorgonzola, sun-dried tomatoes and arugula is one of my favorite go-to options. Not only does it pack well, but it is far more interesting than your average packed sandwich. And since I’m never one to wake up any earlier than absolutely necessary, I like how I can make a big batch at the beginning of the week. 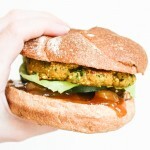 I realize I’ve got a lot of lentil recipes on OSK, but it’s because they are such a staple of my vegetarian diet. 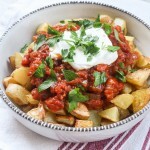 I love how filling and nutritious they are, and their versatility makes them a great base for a variety of flavors. 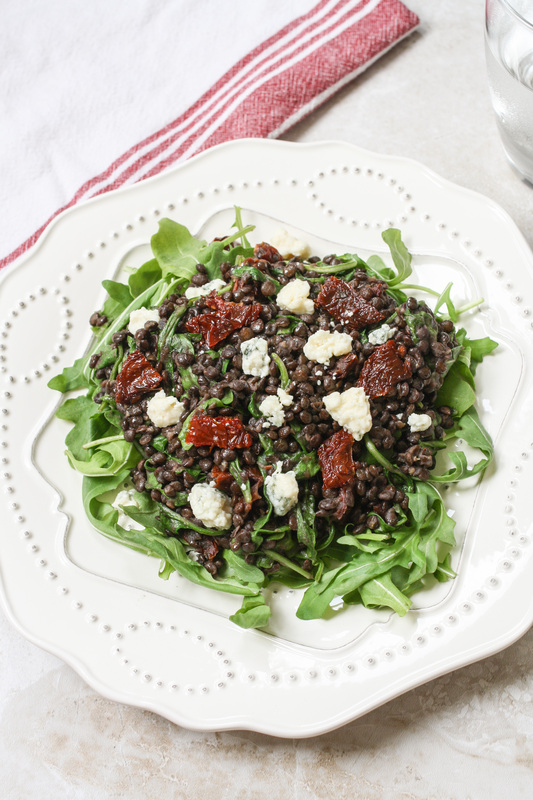 This is my Italian take on lentils, with juicy sun-dried tomatoes, sharply flavored gorgonzola, and peppery arugula. 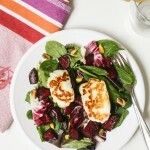 It’s all tied together with a simple red wine vinaigrette, which brightens everything up. 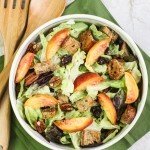 There a lot of delicious flavors going on in this salad; if I’m going to forego all of the fun lunch options by my office, then it’s got to be for something good! Do you pack a lunch for work? What do you like to bring? I’d love to hear! Prepare the lentils according to the package directions. In the meantime, whisk together all of the dressing ingredients in a separate bowl. Once cooled, add the sun-dried tomatoes, gorgonzola, arugula, and dressing. Mix well and add salt and pepper to taste. This looks like a very tasty combination, Julia. And like most every other OSK creation, it’s no doubt healthy and simple, too. I’m glad you got a block of both time and sunshine for another post. Healthy and simple is my motto! I’m glad I got some time too. Once it’s lighter out after work, I’ll be able to blog more again. Gorgonzola, sun-dried tomatoes, and arugula–three of my favorite ways to jazz up almost anything! 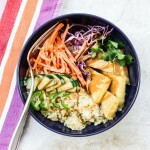 This is a super lunch idea, Julia! Thank you! You could make this with orzo to make a fun pasta salad, too. Yes, working and blogging is quite a bit of work! 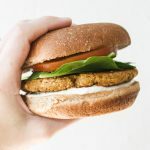 I’m trying to ease back into things so I don’t stress myself out – this is supposed to be fun 🙂 I know you’re a big fan of lentils too, and I love all of your V&B lentil recipes! You’re right that they are so flavorful. I love how cheap they are too, ha! I hope you’re having a wonderful holiday too, my friend! 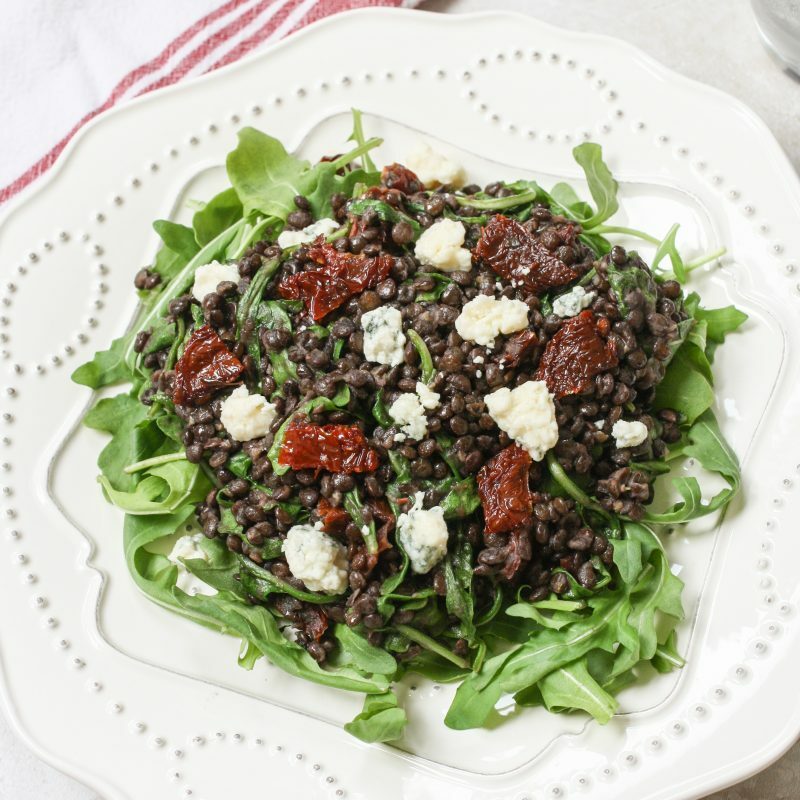 The combination of arugula, tomatos and gorgonzola… What a treat, and you add the lentils to all of these… que rico!!! I am going to try it very soon. Thanks. congratulations on the new job! can’t wait to hear more. I share your love for lentils Julia. And I was *just* thinking about gorgonzola yesterday. 😉 I haven’t had it in literally ages and it looks so good in this salad. I hear you about bringing lunches to work. My guy and I both do this…average price here is about $20 a pop. Crazy, huh?! Good luck transitioning back to a work schedule! That’s funny you say that, Katie – I hadn’t had gorgonzola for a long time too! It’s such a powerful flavor that I like using just a little bit in a dish. It was exactly what this dish needed for some contrast! And wow, I thought SF was bad…but $20 is nuts! I love lentils, I tend to make a batch at the beginning of each week to throw into salads. It’s funny, every cookbook I read I find myself bookmarking the lentil salad they have! Yours looks absolutely delicious, I’ll have to try it as well! I love making a big batch of lentils too, Liora! And I do exactly the same thing with cookbooks. I’m glad you’re a fan as well! I’m such a lentil fan, Julia – so bring on as many lentil recipes as you can! 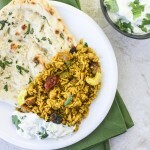 This one looks great – and I love a dish that you can have for dinner and then bring to work the next day. What a great combination of flavors and textures you’ve added to these lentils – I bet you could even put some in a wrap for the next day. Best to you and your new job – I’m sure they’ll be lucky to have you! I’m glad you understand, Emma! Isn’t it so frustrating? I’m lucky to have a lot of sunlight, but now I’m never home when it’s light out…but I’ll figure something out eventually. Have you tried one of those light boxes before? 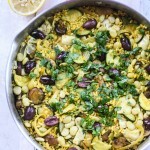 Love what you’ve put together as a lunch option here and I greatly appreciate the nourishing value of lentils – especially since I grew up at a time when white pasta was the main ingredient in the North American vegetarian diet. 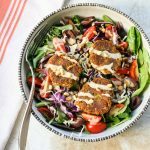 But beyond your lovely lentils there is so much flavor going on here… delicious choices; I would welcome this meal salad any day! Very lovely natural shots too Julia. Have a beautiful Sunday, x. Thank you, Kelly! The job is going very well so far 🙂 You are so right about the blog. Whenever it becomes a source of stress, it’s time to take a step back. I’m just glad I have some loyal followers who don’t seem to mind the sporadic schedule! Yah! I’m glad you stopped in to share this recipe! I love lentils and have been trying to cook with them more so this is perfect! I’ve also been eating a lot of salads lately and am needing some more ideas! 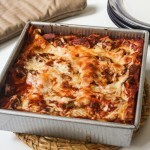 I love the cheese and sun-dried tomato addition, I bet it all tastes so good together! I hope you new job is going well! I’m glad I was able to give you some lentil inspiration, Izzy! 🙂 My new job is going really well, thanks! Happy New Year!